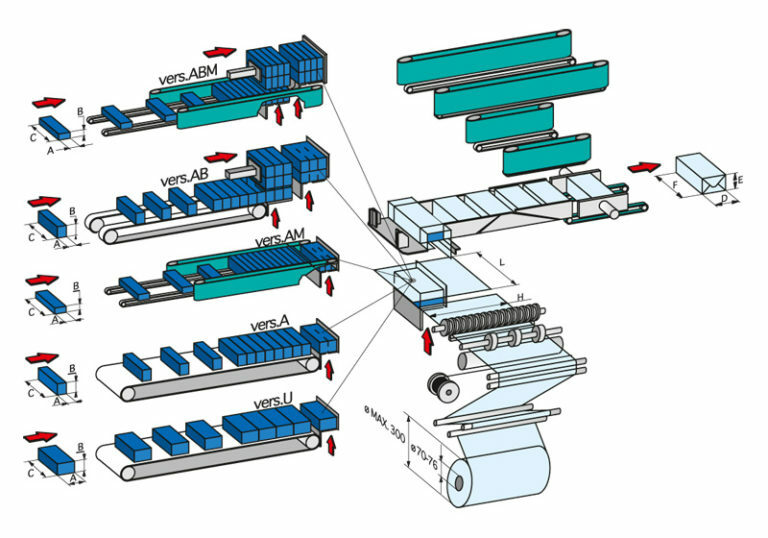 Complete with a device to lift the film-driving rollers during product elevation, these machines enable the use of extremely thin films and avoid the film sliding around the product, thus obtaining the perfect overwrapping finish. 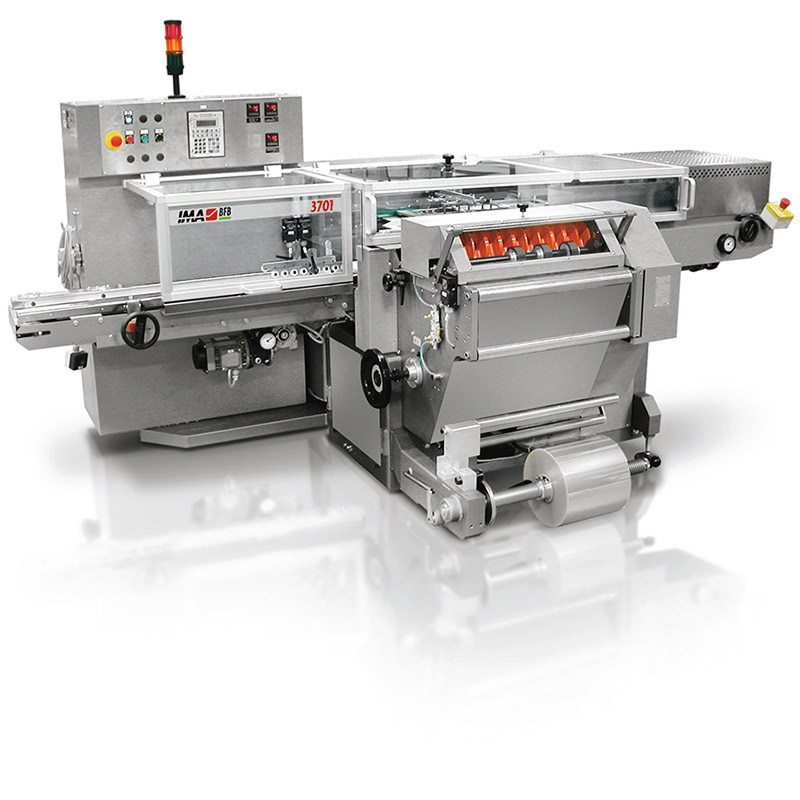 Designed to facilitate cleaning procedures, the equipment uses standard Siemens electrical componentry and a Siemens PLC. The steel frame is oil-tight and lubrication is by means of oil bath. 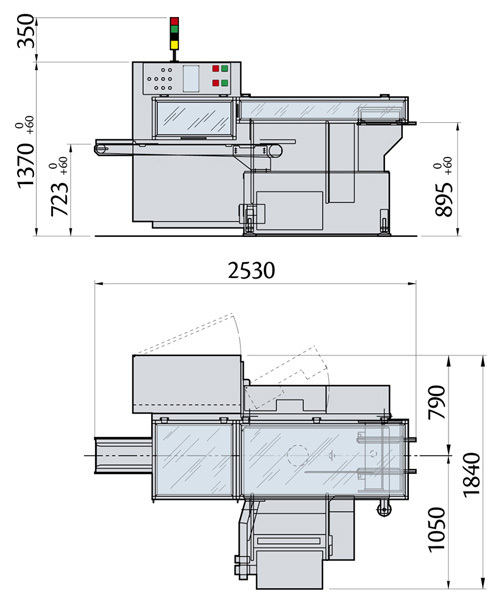 Production for the 3701 stands at 150 cycles/min, while the 3711 reaches 120 cycles/min handling somewhat larger sized products. Changeover procedures are fast and easy, so as to avoid unwanted downtime. Wheel available to facilitate machine displacement. Film unwinding by driven drums to move film under guillotine knife. Several different sealing unit available.